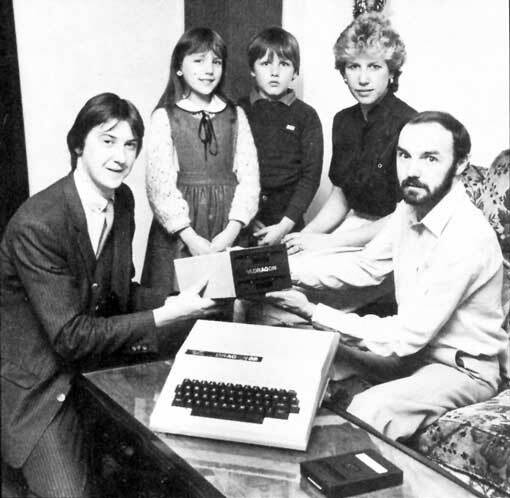 "Pictured above is Kevin Stephens, a marketing executive at Dragon Data, presenting the first prize of a double disk drive to the lucky Dragon 32 owner. Mr M. G. Myatt (extreme right). Also pictures are Mr. Myatt's wife, Carol, and his two children, Christopher (aged 9) and Teresa (aged 11). " Picture and text taken from Dragon World No.2 Feb. 84. 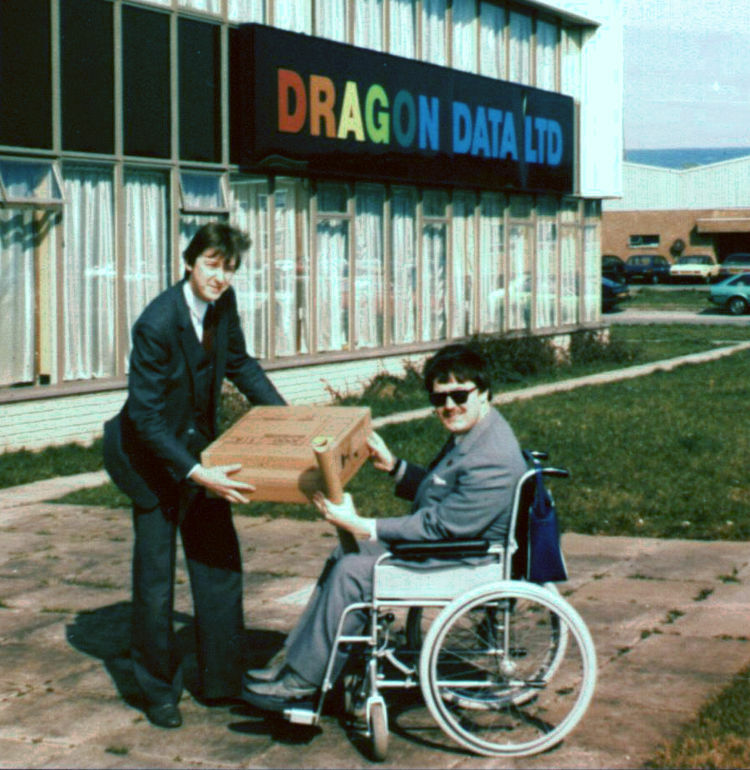 Kevin Stephens again presenting a Dragon Data item, this time a Dragon 64 to Gareth Tuttiett out side the Kenfig Plant, 1984. Picture © Gareth Tuttiett, used with kind permission.